Food scraps and yard waste are ideal organic materials for compost which offers a natural alternative to chemical fertilizers. So instead of throwing them away, we should use them for composting, which helps fuel plant growth and make your garden thrive. 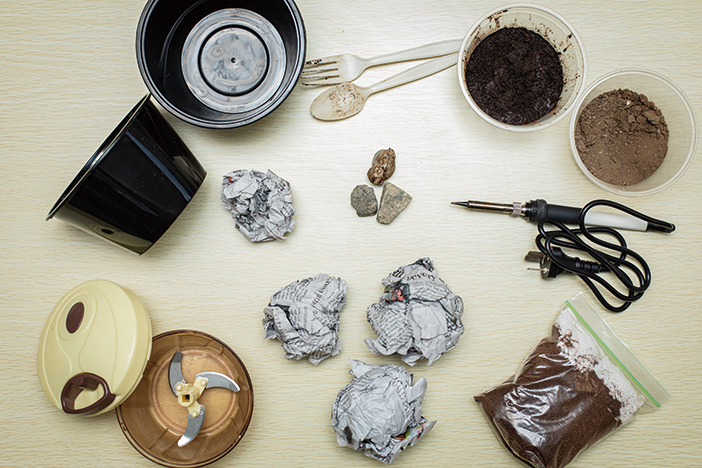 There are many different ways to make a compost pile. If you don’t have space for an outdoor compost pile, you can compost materials indoors using a special type of bin, such as recycled takeout containers. 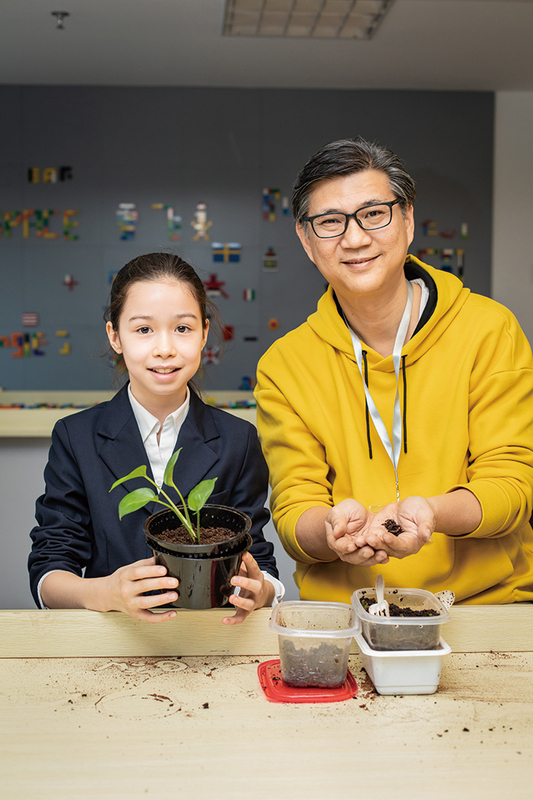 We invited Daniel Lim from Homegrown School, which promotes food sustainability education, and Gabby Wilson, a Year 5 student from British School of Beijing, Sanlitun, to show how to make an indoor compost pile using takeout containers. Follow Dan and Gabby along with our instructions, and learn how to grow an indoor vegetable garden. It’s free, easy to make, and good for the environment! 1. Make holes all along the bottom of the two containers and around the top of their walls. The bottom holes should be large enough for the worms to travel up and down through them. The ones around the walls are for ventilation and can be smaller. 2. Put the stones into the container without holes and stack one of the containers with holes on top of it. It should sit nicely with a gap between them. 3. 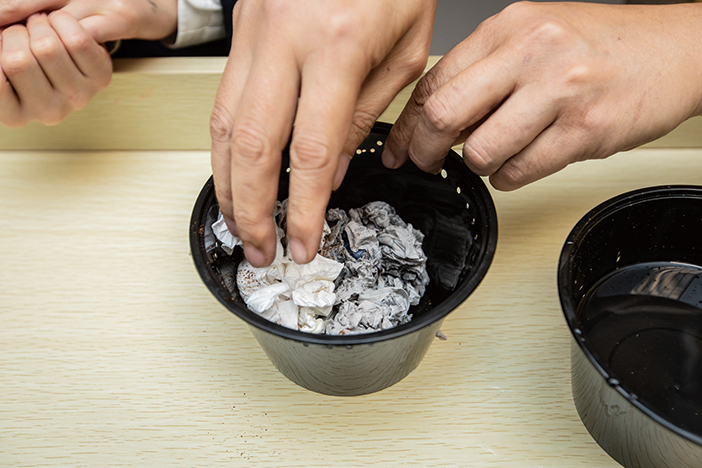 Soak paper materials in water from another container, and loosely scrunch them up into a ball so that they are damp but not dripping. Fill the bottom of the worm farm with the scrunched up paper balls. 4. 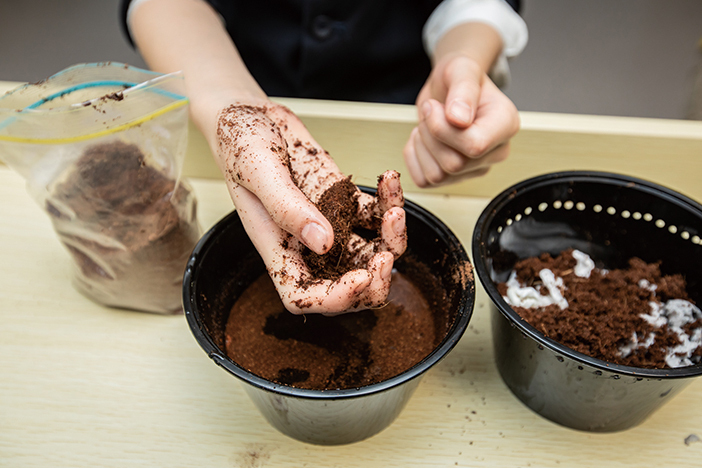 Grab a handful of the expanded coco coir, soak it in the water and cover the paper balls. Add a scoop of dirt and coffee grounds to the top, and mix everything up with the plastic utensils to make the bedding light and fluffy. 5. Put the worms in together with the vermicompost it came in and gently mix the vermicompost into the bedding. Cover the top of the container to keep it moist. 6. After setting it up, keep the worm farm at room temperature, and leave it for a few days to let the worms settle in. You may want to leave the container top off and shine some light to encourage the worms to burrow in. When the material at the bottom is dark and rich in color, your compost is ready to use. – Regular mixing or turning of the compost will help maintain the compost. – The secret to a healthy compost pile is to maintain a balanced ratio of carbon and nitrogen. If the worm farm starts to smell bad, mix in high carbon bedding materials to balance the nitrogen. – If your worm farm is too wet, add dry bedding materials to soak up excess moisture. If it’s compacted, use the fork to break it up. 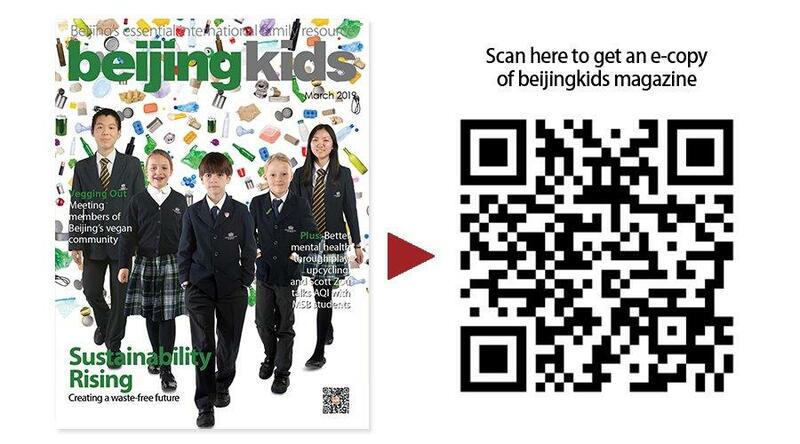 – For how to use the worm farm, please contact Daniel (WeChat ID: dadan8) for tips. He is also offering online courses on growing indoor vegetable gardens and how to start a food-waste-to-compost production line.